Everyone recognizes the eye of a hurricane. It’s a remarkable yet terrifying image. But what about its little cousin, the von Kármán vortex? Early on Monday morning Reddit user “gedimin” snapped an incredible photo of a vortex off the Southern California coast. 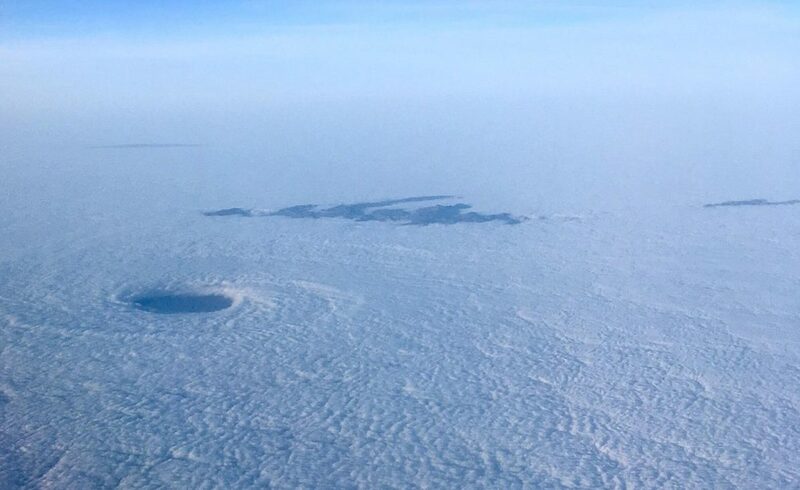 This swirling eye was embedded in a stratus cloud deck that commonly inhabits the Los Angeles coastline. At a glance, this eddy has features that resemble a hurricane but in reality the dynamics that form these vortices have nothing to do with the tropics. The twisting begins as air is forced up against higher terrain, giving it two options: up and over or around the sides. When the air goes around the side, the friction between the air and land causes the wind to change speed and direction. As the wind changes speed and direction, it begins to rotate. 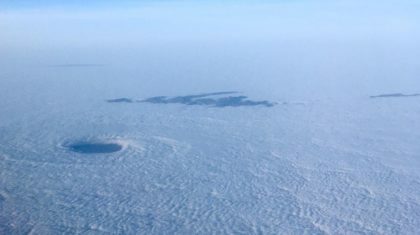 In this case, the air was forced around one of the Channel Islands of California but these vortices can form in a variety of regions across the globe. 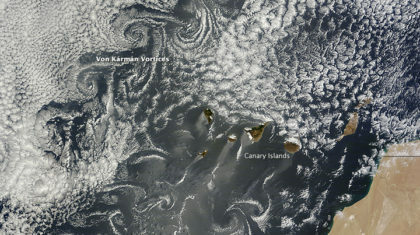 A von Kármán hot spot is the Canary Islands which are regularly frequented by these beautiful swirls. When the wind is persistent enough, these vortices feed off of each other resulting in a von Kármán vortex street. As you might imagine, the visual is stunning. So the next time you’re flying over the California coastline, look down and see if you can find these “stratocanes” lurking at sea.